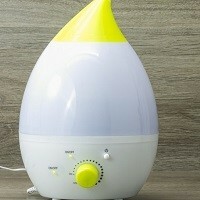 Home » FAQs » What Kind of Humidifier Do I Need? The type of humidifier you need depends on a number of factors, such as the size of your home and how much moisture is needed. There are several options, and each has their own benefits and drawbacks. Determine your need based on the following questions below and make an informed buying decision. How Much Humidity Do You Need? Every home requires different amounts of moisture to sustain a healthy environment. Do you live in a colder climate where dry air is a common problem? The ideal humidity level in a home should be between 35% and 50% year-round. If you just have a room or two that need more moisture, then a portable humidifier might be the best solution for you. If you struggle throughout your home with an ideal humidity level, a whole-home humidifier is what you need. Do You Need a Whole-Home Humidifier? A whole-home humidifier is the best option if you require moisture in several rooms in your home. 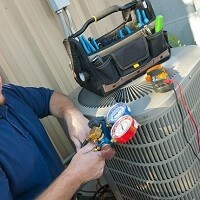 It is installed directly into your furnace and can be operated via the furnace’s blower or its own blower. A whole-home humidifier comes in several forms and depends on how much space you have on your furnace. Bypass humidifiers operate only when your furnace is running. Fan-powered humidifiers have their own blower and will operate even when the furnace is off. Steam humidifiers have their own fan, so they can run even when the furnace is off but the moisture added is steam, which is more pure and natural for your indoor air. Is a Portable Humidifier Right for You? Cool mist humidifiers emit a cool vapor to add more moisture to a room. Evaporative humidifiers are similar to a cool mist humidifier, but they use a fan to circulate humidity in a room. Ultrasonic humidifiers produce water droplets via a vibrating metallic diaphragm. Vaporizer humidifiers can be either cool or warm mist, and inhalants can be added to treat flu and cold ailments. Warm mist humidifiers heat water to create vapor that is cooled before it is added to a room’s air.